Stunning paper art print inspired by Star Wars: The Last Jedi. 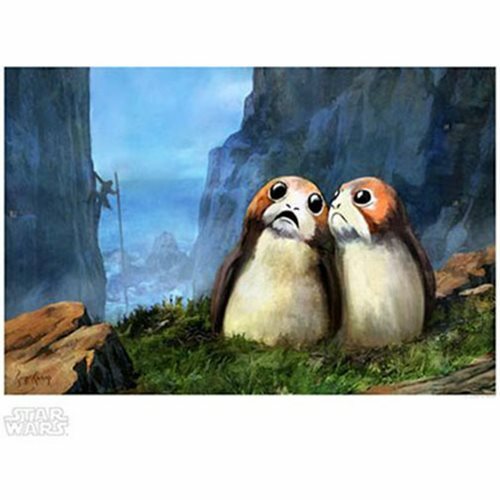 This captivating Star Wars Local Residents by Cliff Cramp Paper Giclee Art Print from Acme Archives is a must have. Inspired by Star Wars: The Last Jedi this unframed limited edition of only 150 hand-numbered pieces. it measures 19-inches wide x 13-inches tall (image size 16-inches wide x 10 3/5-inches tall) and comes with a certificate of authenticity.